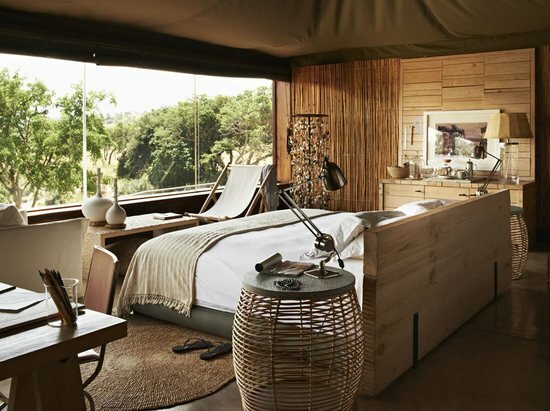 When we informed you that Singita Game Reserve was voted the best hotel for the 2nd time in a row in this year’s Travel + Leisure World’s Best Awards, little did we speak about the natural habitat surrounding the reserve, or the sumptuous lodges and camps that patrons can reside in. 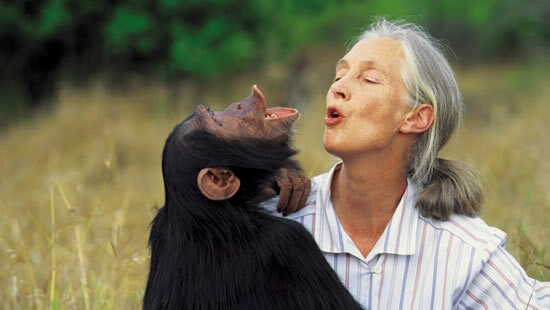 The Singita Reserves is spread across the western corridor of Serengiti in Tanzania. The reserve offers an unparalleled eco-safari teeming with magnificent wildlife encounters and a perfect location for solitude. 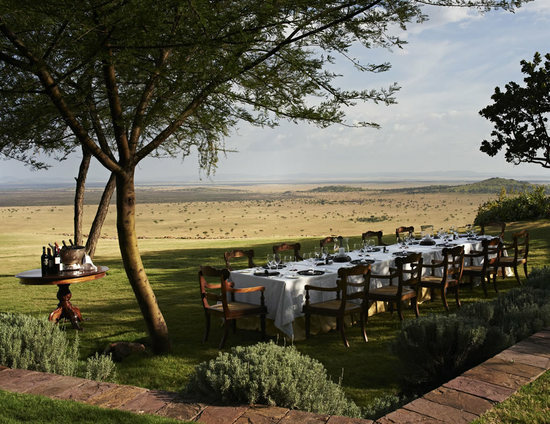 The property is positioned ideally on the epic migratory route traversed annually by more than a million wildebeest. 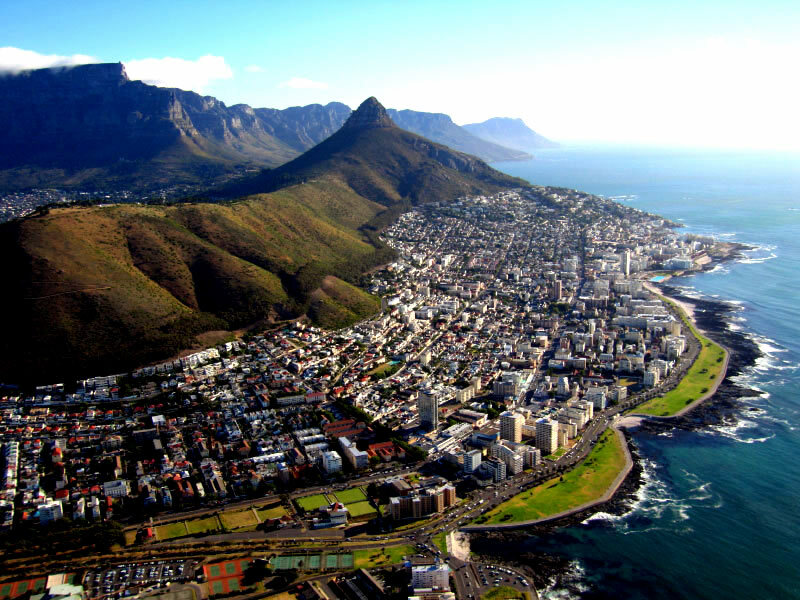 The reserve has on its site two lodges and a camping ground. 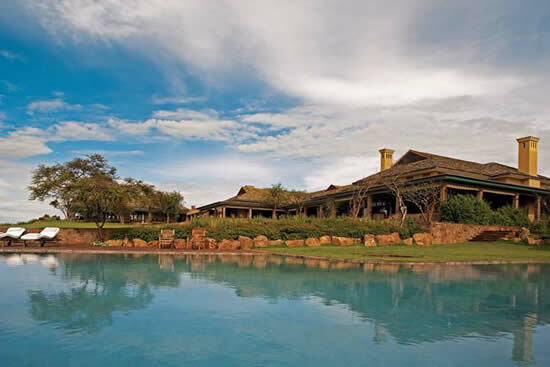 Situated on a slope, basking in the abundance of animal species and birdlife around it, Singita Faru Faru Lodge lends a contemporary signature style to safari. Inspired by a botanical theme, this riverside lodge offers barefoot elegance in a laid-back rustic setting. 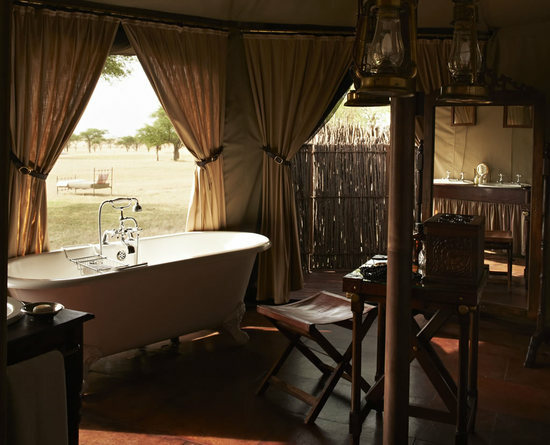 The Faru Faru Lodge has 8 air conditioned en suites complete with a bath and an outdoor shower and can accommodate up to 22 guests at one time. 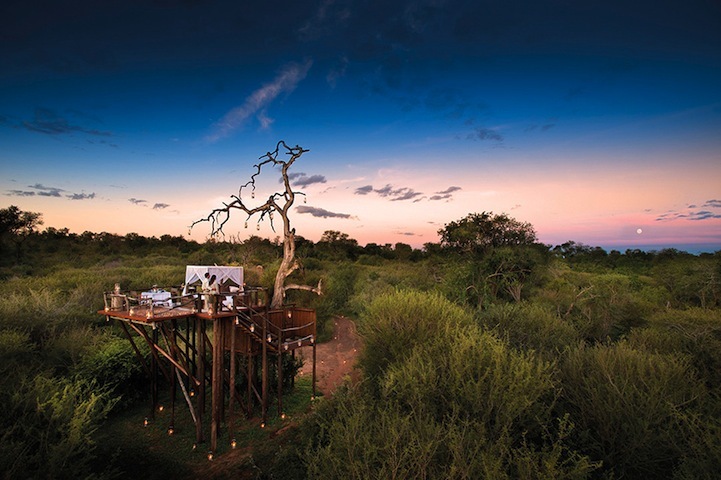 Elevated viewing decks over the watering hole allow guests to view game without even leaving their lodge, and a Swahili-inspired ‘beach’ offers the opportunity for some serious rest and relaxation. The Villa Suite is made up of two identical double bedrooms and a large shared open space lounge/dining area. The bedrooms are en-suite with a bath and outdoor shower. 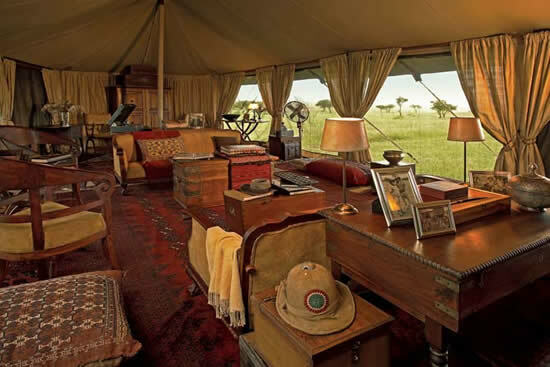 Reminiscent of a bygone era, Sabora Tented Camp creates the feel of a lavish tent; each canvas cocoon offers opulent luxury complete with antique mahogany travel chests, Persian rugs and silk curtains. 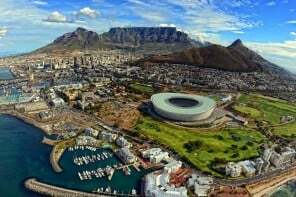 With 9 luxurious air conditioned tents that can accommodate up to 18 guests, the camp has a viewing deck where you never know what you may spot. The camp offers an amazing getaway where guests can enjoy delicious feasts using locally grown organic produce, coupled with vintage wines, in surprise settings. 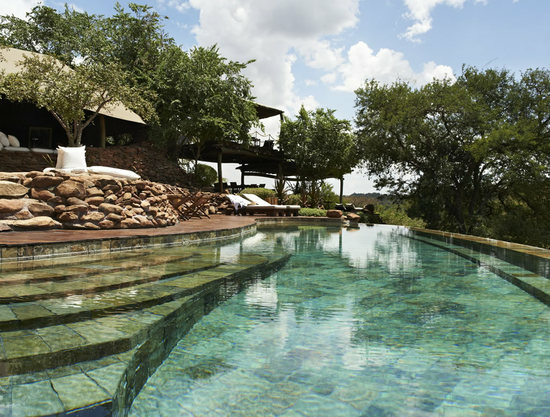 The Singita Sasakwa Lodge is built in the style of an Edwardian manor house. 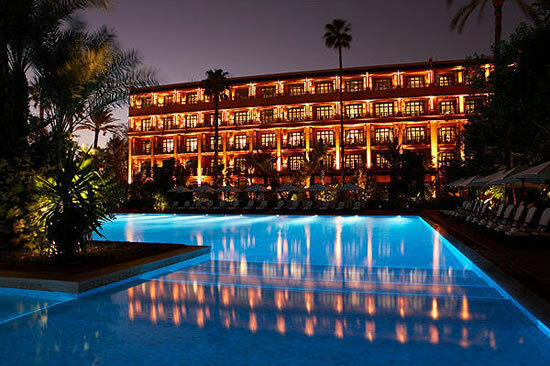 Stone walls, deep verandas, high ceilings, stately furniture, silverware and ornamental pieces complete the picture. 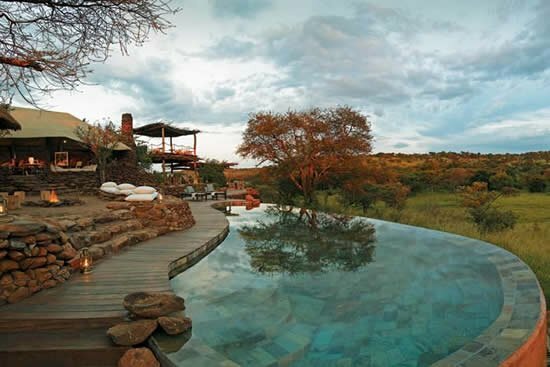 Each cottage has a private infinity-edge pool overlooking ‘where the land stretches to forever’. 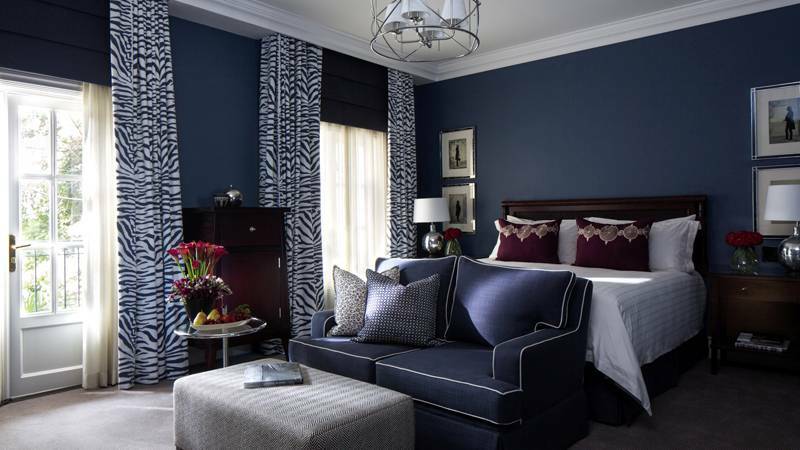 The bedrooms with inviting four-posters are beautifully appointed, displaying typical African influences with touches of wood, leather and grass, alongside crisp linens, imported chandeliers and hand-crafted furniture. The three sites at the Singita Grumeti Reserve are spread across 350,000 acres, which means that you can have your perfect African safari getaway.